Posted on: April 3rd, 2019	by Jennifer A. and Melanie C.
Want to visit the Easter Bunny? Want to hunt for Easter Eggs with your children? We’ve been doing this listing of Easter Egg Hunts for 9 years and here we are again helping families have a very Happy Easter! Here is our list of egg hunts, Easter activities, and Easter Bunny appearances in New Jersey listed by date as well as by type of event. Just click the links for the calendar for those events. Some events may require a fee or advanced registration, we will let you know if we know, but we recommend following the links for the most up-to-date information. For example, many Easter Egg Hunts may have different times for different ages, you do need to register that day at a particular time. Please know that we are continuing to fill in the gaps here by searching the internet, and by calling and emailing townships across the state. Bookmark this site and we WILL update this listing of Easter Events in New Jersey often until it’s complete. Please hit refresh in your browser when revisiting to see the latest updates. If you have an event that should be listed please use the POST YOUR EVENT button on our New Jersey Calendar of Easter Events. There is no charge to list events that are $5 or less per person to attend. 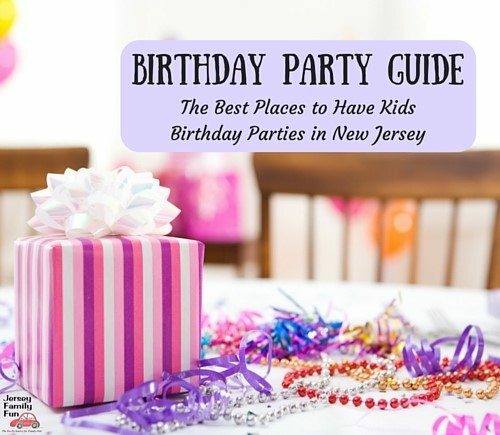 For advertising on this page or to have your event listed as a featured event, please email Jennifer Auer, publisher at jenniferauer@jerseyfamilyfun.com. We are currently updating this for 2019. If you don’t see a local Easter event, please come back and check again in a few days. Click to see our listing of Atlantic County Easter Events. Our Atlantic County Easter events will list egg hunts, Easter bunny appearances and other Easter events in Atlantic County New Jersey. We will continue to enter additional New Jersey Easter events as their information becomes available. Click to see our COMPLETE listing of Bergen County Easter Events. Our Bergen County Easter events will list Easter egg hunts, Easter bunny appearances and other Easter events in Bergen County New Jersey. We will continue to enter additional New Jersey Easter events as their information becomes available. Click to see our COMPLETE listing of Burlington County Easter Events. Our Burlington County Easter events will list egg hunts, Easter bunny appearances and other Easter events in Burlington County New Jersey. We will continue to enter additional Southern New Jersey Easter events as their information becomes available. 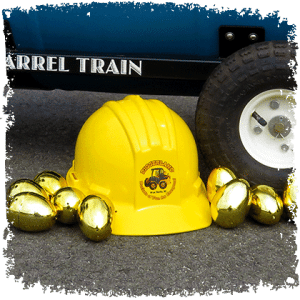 Find the Golden Eggs at Diggerland USA! Every EGG has a prize and 20 GOLDEN eggs have grand prizes hidden in them. Egg hunt starts at noon. The first 100 children to arrive will get a FREE small stuffed Easter Bunny from Jersey Family Fun. The hunts are for children 12 and under. Please bring your own basket or bag to collect eggs. There will be separate areas for children up to 8 years old and children 9 to 12 years old. The Hunt begins at 12 noon. Be sure to arrive early, the park opens at 11 am. Due to the popularity of the event the egg hunt is typically over within a half hour. Click over for more details. Enjoy Breakfast with the Easter Bunny before a day of splashing at Sahara Sam’s! The Easter bunny is hop-hop-hopping his way to West Berlin, NJ to have breakfast with you on Saturday, April 20th and Sunday, April 21st! From 9 AM – 10 AM, enjoy a breakfast buffet (see menu) and the opportunity to snap photos with your favorite fuzzy bunny. All kids attending breakfast will also receive eggs-elent goodie bags featuring candy-filled eggs made by Sunny Bunny Easter Eggs who provides meaningful employment to people with disabilities. Click over for more details. Click to see our COMPLETE listing of Camden County Easter Events. Our Camden County Easter events will list Easter egg hunts, Easter bunny appearances and other Easter events in Camden County New Jersey. We will continue to enter more Easter events in Southern New Jersey as their information becomes available. Click to see our listing of Cape May County Easter Events. Our Cape May County Easter events will list egg hunts, Easter bunny appearances and other Easter events in Cape May County New Jersey. We will continue to enter additional South Jersey Easter events as their information becomes available. Click to see our listing of Cumberland County Easter Events. Our Cumberland County Easter events will list Easter egg hunts, Easter bunny appearances and other Easter events in Cumberland County New Jersey. We will continue to enter additional Easter events in South Jersey as their information becomes available. Click to see our COMPLETE listing of Essex County Easter Events. Our Essex County Easter events will list egg hunts, Easter bunny appearances and other Easter events in Essex County New Jersey. We will continue to enter additional New Jersey Easter events as their information becomes available. Click to see our listing of Gloucester County Easter Events. Our Gloucester County Easter events will list Easter egg hunts, Easter bunny appearances and other Easter events in Gloucester County New Jersey. We will continue to enter additional Southern New Jersey Easter events as their information becomes available. Click to see our COMPLETE listing of Hudson County Easter Events. Our Hudson County Easter events will list egg hunts, Easter bunny appearances and other Easter events in Hudson County New Jersey. We will continue to enter additional New Jersey Easter events in North Jersey as their information becomes available. Click to see our COMPLETE listing of Hunterdon County Easter Events. Our Hunterdon County Easter events will list Easter egg hunts, Easter bunny appearances and other Easter events in Hunterdon County New Jersey. We will continue to enter additional North Jersey Easter events as their information becomes available. Click to see our COMPLETE listing of Mercer County Easter Events. Our Mercer County Easter events will list egg hunts, Easter bunny appearances and other Easter events in Mercer County New Jersey. We will continue to enter additional New Jersey Easter events as their information becomes available. Click to see our COMPLETE listing of Middlesex County Easter Events. Our Middlesex County Easter events will list Easter egg hunts, Easter bunny appearances and other Easter events in Middlesex County New Jersey. We will continue to enter additional Easter events in Central Jersey as their information becomes available. Sonny the Bunny is back for his annual Carrot Adventure! There will be free pictures with Sonny the Bunny, a bunny trail you can hop along to collect eggs filled with treats and prizes, and raffle prizes that include a Grand Prize of an iPlay America Birthday Party for the kids and 1 Carat Diamond for the adults! Register now for this FREE event on April 13 from 10 AM – 12 PM! Click over for more details. Join us for our Annual VIB (Very Important Bunny) Breakfast with Sonny the Bunny! Enjoy a delicious hot breakfast buffet that includes an omelet station, assorted breakfast breads, yogurt and granola, pancakes, fresh fruit and more! While you are eating, Sonny the Bunny will walk around and visit with guests at their tables. Then, gather the whole family together for a picture with him taken by our professional photographer with a free digital download! We will also have tons of entertainment including Miss Sheri from Honey Child Music Academy, Face painting and a photo with Sonny the Bunny! Tickets start at $14.95 Click over for more details. Click to see our COMPLETE listing of Monmouth County Easter Events. Our Monmouth County Easter events will list egg hunts, Easter bunny appearances and other Easter events in Monmouth County New Jersey. We will continue to enter additional central New Jersey Easter events as their information becomes available. Click to see our COMPLETE listing of Morris County Easter Events. Our Morris County Easter events will list Easter egg hunts, Easter bunny appearances and other Easter events in Morris County New Jersey. We will continue to enter more New Jersey Easter events as their information becomes available. Annual Easter Egg Hunt at Tuckerton Seaport! The Annual Easter Egg Hunt will take place on the Seaport grounds this Saturday, April 20. Registration begins at 10am; hunting for the youngest age group will begin at 11am. Children are divided into 4 age groups, but if you want to keep your kids together in the same group that is fine with us. The Easter Bunny will be available for photos until 10:40am, then he hops over to help with the hunt. He will be back for photos right after the hunt and will stay until everyone is hoppy! The Seaport has free admission all day so please visit our Craft Area, climb the Lighthouse, play mini-golf, and do some exploring before you leave! Click to see our COMPLETE listing of Ocean County Easter Events. Our Ocean County Easter events will list Easter egg hunts, Easter bunny appearances and other Easter events in Ocean County New Jersey. We will continue to enter additional Easter events in this community as their information becomes available. Click to see our listing of Passaic County Easter Events. Our Passaic County Easter events will list egg hunts, Easter bunny appearances and other Easter events in Passaic County New Jersey. We will continue to enter additional New Jersey Easter events as their information becomes available. Click to see our listing of Salem County Easter Events. Our Salem County Easter events will list Easter egg hunts, Easter bunny appearances and other Easter events in Salem County New Jersey. We will continue to enter additional local South Jersey Easter events as their information becomes available. Click to see our listing of Somerset County Easter Events. Our Somerset County Easter events will list Easter egg hunts, Easter bunny appearances and other Easter events in Somerset County New Jersey. We will continue to enter additional Easter events in New Jersey as their information becomes available. Click to see our listing of Sussex County Easter Events. Our Sussex County Easter events will list egg hunts, Easter bunny appearances and other Easter events in Sussex County New Jersey. We will continue to enter additional New Jersey Easter events as their information becomes available. Click to see our listing of Union County Easter Events. Our Union County Easter events will list Easter egg hunts, Easter bunny appearances and other Easter events in Union County New Jersey. We will continue to enter additional Easter events in New Jersey as their information becomes available. Click to see our COMPLETE listing of Warren County Easter Events. Our Warren County Easter events will list egg hunts, Easter bunny appearances and other Easter events in Warren County New Jersey. We will continue to enter additional New Jersey Easter events as their information becomes available.